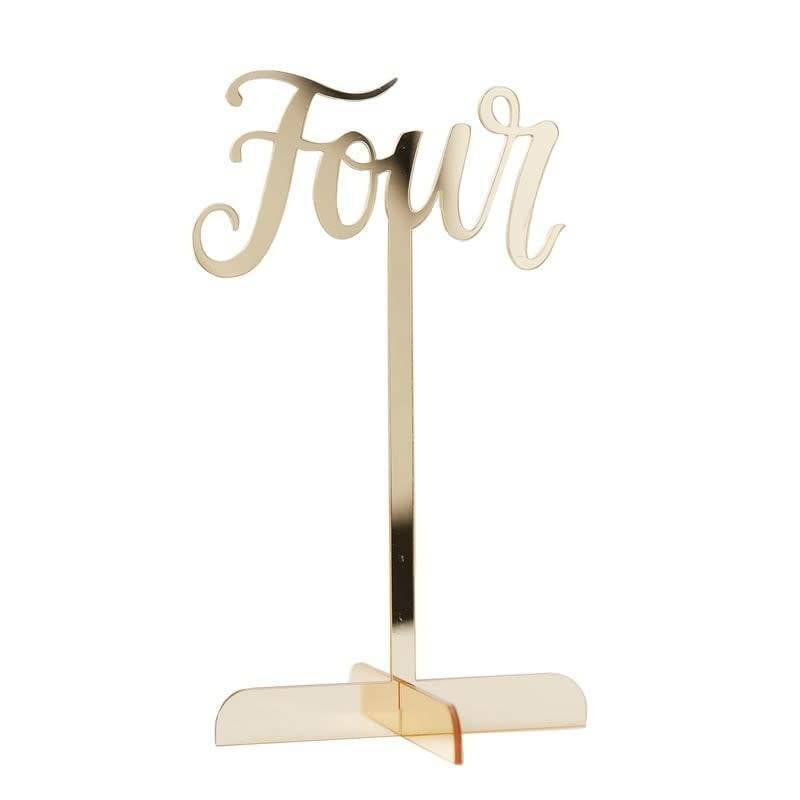 Use these stunning acrylic table numbers at your wedding reception to make each table stand out on your big day. The numbers are written in a gorgeous style which adds sophistication to your tables. 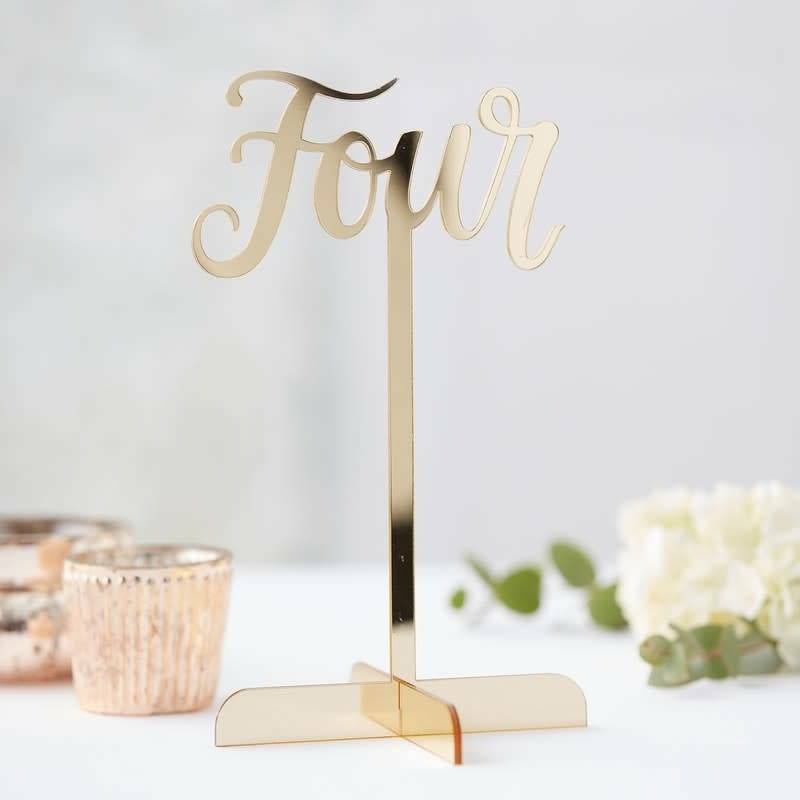 Each table number comes complete with it's own stand so can easily be placed in centre pieces or can be put into flower arrangements, either way a great addition to your table decoration on your big day. Each pack contains 12 x table numbers ranging from 1-12 (one of each number). Each number is 20cm in height approx.